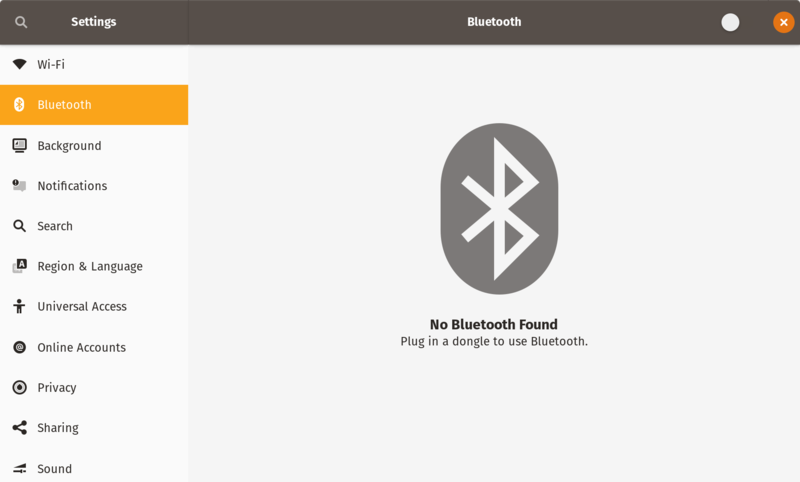 No Bluetooth Found. Plug in a dongle to use Bluetooth. I no longer appear to have the issue with BlueZ version 5.50.